Australian industry has backed the Group of Eight universities’ call for a pause in higher education reform, urging a “stepped” approach rather than rushing out legislation. 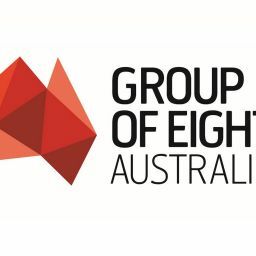 Last month the Go8 said its support for fee deregulation was not unconditional and suggested a “depoliticised process” involving academics and employer and business groups to consider ­alternative funding solutions. The Australian Chamber of Commerce and Industry, the Minerals Council of Australia and the Business Council of Australia remain open to deregulation as part of a revised package, but say the market needs to be better informed about reform benefits and challenges. The MCA’s Gavin Lind called for a “broad brushed education and training pathway review”. ACCI’s Jenny Lambert said the reforms needed to be taken “off the bargaining table” and broken down by key stakeholders. “We don’t advocate for another review. But there does need to be a discussion on what’s the best policy; that’s something we’re very keen to engage in,” Ms Lambert said. Dr Lind said he wanted a fresh debate. “If the Education Minister (Christopher Pyne) just ­recasts for a third time the same narrative, I think the process where it was fragmented before will be broken,” he said.